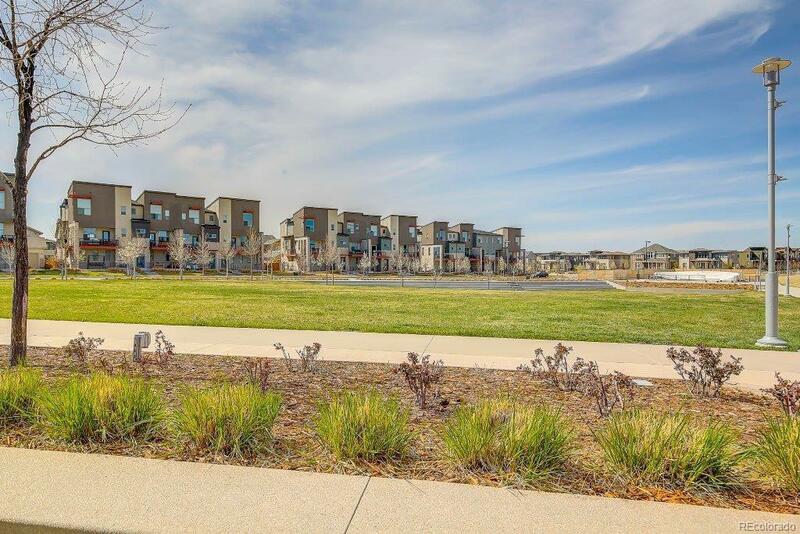 Stunning end unit townhome with contemporary architecture - prime location across from park + short walk to shops & restaurants at Northfield Stapleton. Mtn views. Bright, open floor plan. Living Room graced by wall of windows & gas fireplace. 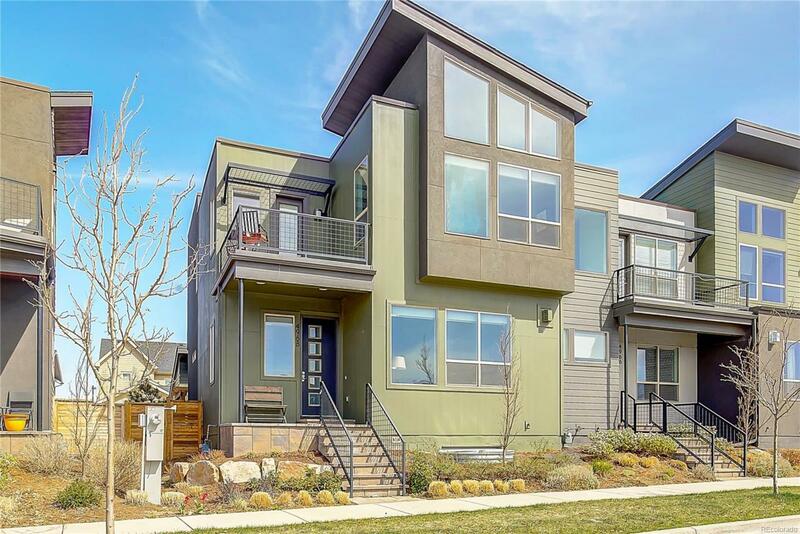 Gourmet Kitchen features upgraded cabinetry + pantry, granite countertops & island complemented by pendant lighting, decorative subway tile backsplash and SS appliances, incl 5 burner gas cooktop.Wide plank hardwood flooring on the main level. Decorator paint thruout. Vaulted Master Suite has dramatic floor to ceiling windows, luxurious 5 piece bath w/dual sink vanity, deep soaking tub & walk-in closet. Add'l bedroom/master suite with adjoining full bath & loft area on the upper level. You will love relaxing with a cup of coffee on private second story terrace. Finished bsmt features a Family Room, bedroom and bath. Great outdoor living are on private patio w/hot tub. 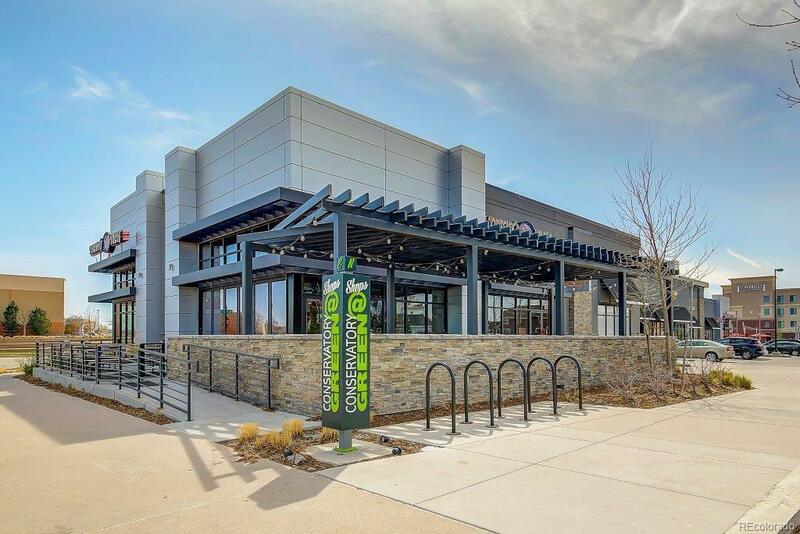 Stapleton offers lifestyle focused on convenience & outdoors...enjoy!